Will NBC Boston reach over-the-air viewers? Senator Edward Markey is raising questions about the biggest shakeup in the local television scene in two decades, asking Comcast Corp. whether its new NBC station in Boston will fail to reach some viewers who still watch television over the airwaves. Comcast-owned NBC is dropping WHDH-TV as its local Boston affiliate and starting a new station that will broadcast from southern New Hampshire beginning Jan. 1. The company will also use a low-power station to relay the signal to the Boston area, although its general manager has acknowledged the coverage area of the new station “does not match” WHDH’s broader reach. In a letter Monday to Comcast chief executive Brian Roberts, Markey expressed concern that if the signal in the Boston area is not strong enough, then “seniors, low-income residents, and anyone who has recently ended their pay-TV subscription” won’t be able to view the station. 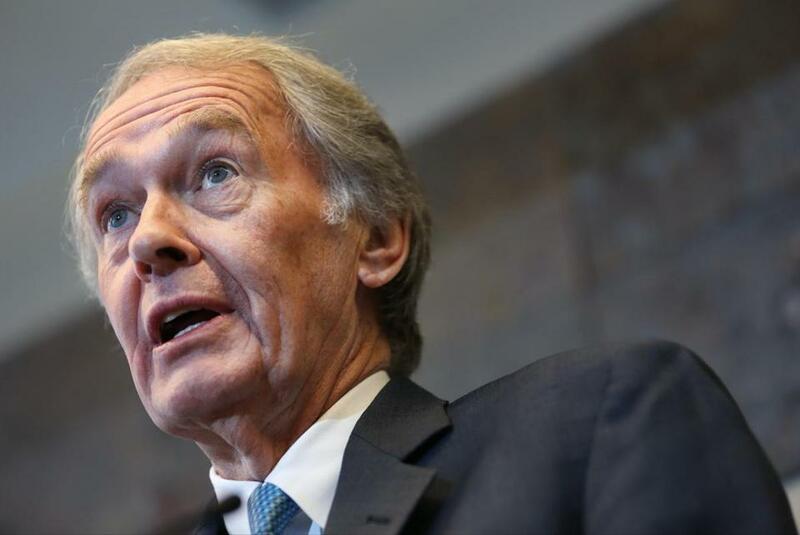 Markey has worked extensively on telecommunications issues throughout his time in Congress, including by serving as chairman of the House Subcommittee on Telecommunications and the Internet when he was a US representative. Some over-the-air viewers have already registered complaints on NBC Boston’s Facebook page, commenting that they have been unable to receive the “Countdown NBC Boston” content the station began broadcasting on Nov. 10 ahead of its official launch. Markey asked Roberts to list the number of homes in the Boston market that already receive reliable over-the-air coverage from WHDH and how that number will compare to the new station. “If communities will lose access to free, over-the-air NBC content, how does NBC plan to address this gap in coverage?” he asked. NBC Boston did not address Markey’s concerns in a statement, saying instead that it would “be providing additional detail in our response to Senator Markey’s letter.” Markey asked for a response by Dec. 12. The NBC station will broadcast to channels 8.1 and 60.2. On Comcast’s cable service the NBC affiliate will be on channel 10. Most TV viewers in the Boston market rely on pay services such as cable or satellite. NBC’s national programming includes the “Today” show, “Sunday Night Football,” and “The Tonight Show Starring Jimmy Fallon.” The new NBC Boston station will also include local news and lifestyle programming. WHDH owner Ed Ansin went to court to maintain his station’s affiliation with NBC earlier this year, and part of his argument focused on the potential disruption to over-the-air viewers. His lawsuit was ultimately dismissed by a federal judge. Ansin now plans to run WHDH as an independent station, with increased news programming. When Comcast acquired NBC from General Electric in 2011, critics worried that as a cable provider, Comcast would have little incentive to preserve access to NBC’s over-the-air broadcasting. In an agreement with affiliates regarding the deal, Comcast and NBC pledged that they were “committed to continuing to provide free over-the-air television” through their affiliates and local NBC-owned stations. Adam Vaccaro can be reached at adam.vaccaro@globe.com. Follow him on Twitter @adamtvaccaro.